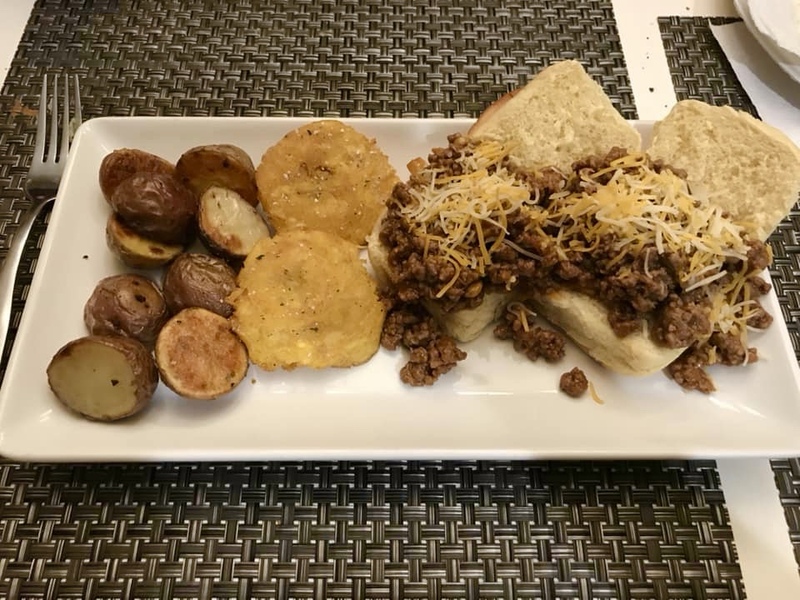 For these Mexican style sloppy joes, I took my go to taco meat recipe and added some ingredients to make them "sloppy." Hope you enjoy them as much as we did! 1. In a medium sauté pan, brown the meat on medium high heat. Once browned, drain with paper towel on plate. 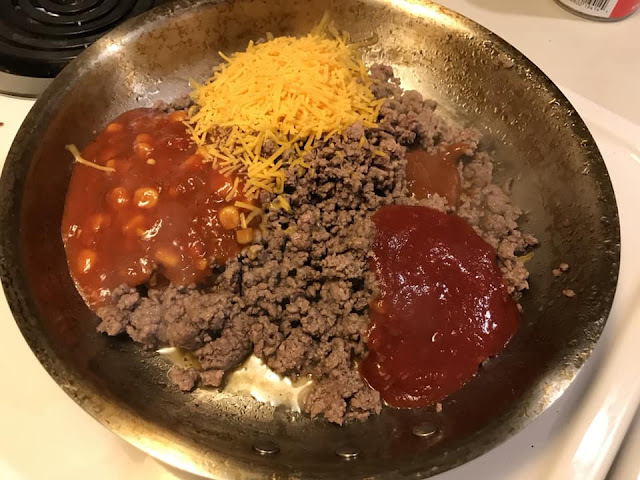 Lower heat to medium, and return meat to pan. 2. 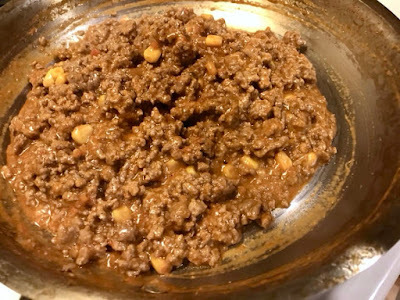 Mix in corn salsa, sriracha, cheese, chili sauce, salt and pepper and heat for 3 minutes, stirring occasionally. 3. Add broth and simmer on lower heat for ~5 minutes until broth is reduced to the consistency you like. 4. 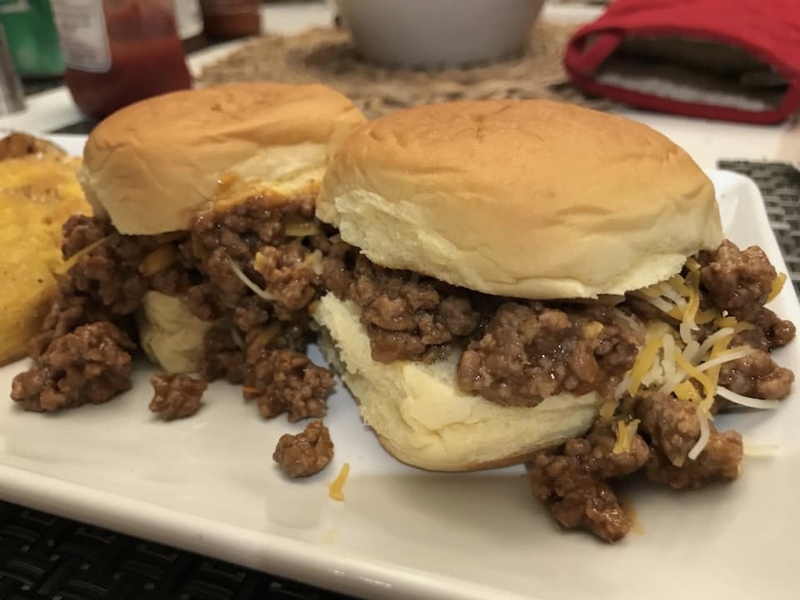 Serve sloppy joe mixture on slider buns and top with cheese. 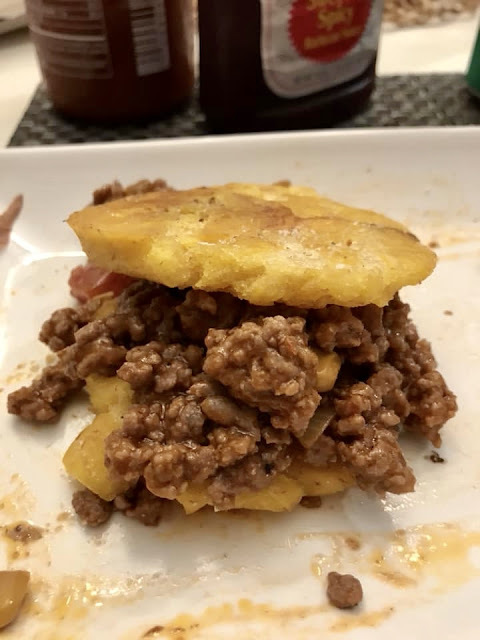 My husband experimented with a plantain bun with the leftover sloppy joe meat!